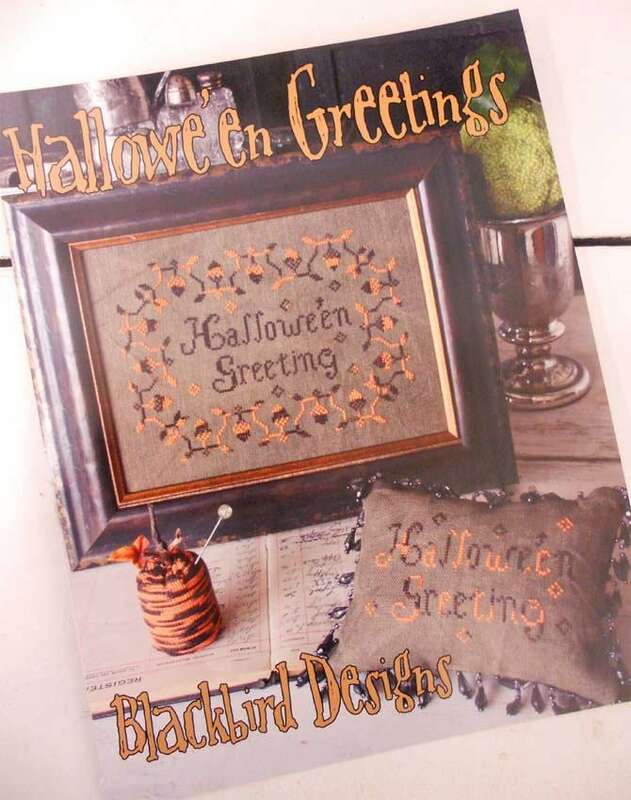 Hallowe'en Greetings by Blackbird Designs...cross-stitch kit. Get in a spooky mood with this little gem! 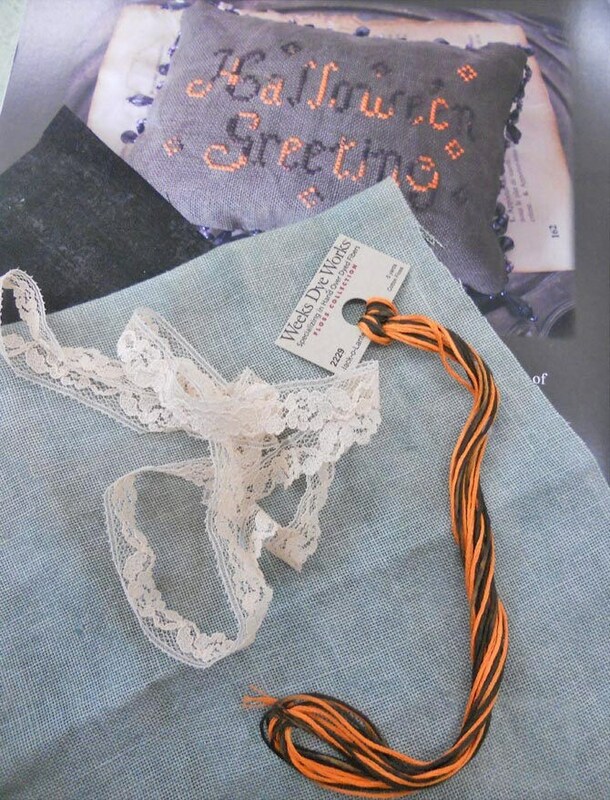 Stitched on 30 count hand dyed linen in Dove by Weeks Dye Works...it is definitely a Halloween Treat that can be whipped up in time for the spooky night! 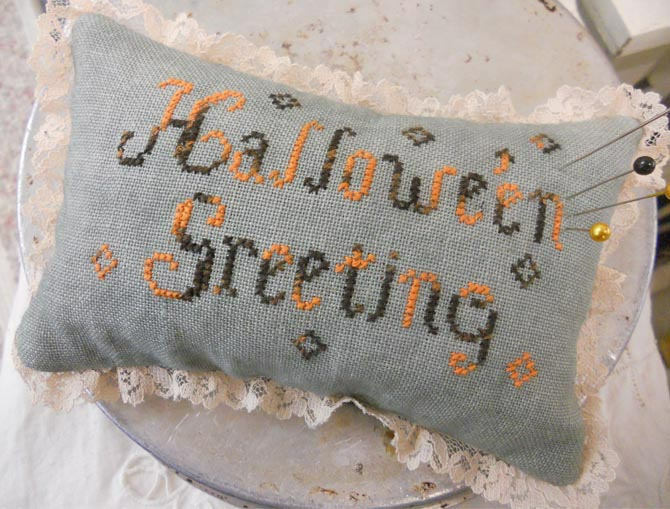 This pattern includes both the framed piece and a pincushion.